Yangon -- Five people who were sent to jail for their involvement in printing a calendar that stated that Rohingya Muslims are an ethnic-religious minority in Myanmar made a brief appearance at Yangon’s Pazundaung Township Court on Tuesday. On Nov. 23, the men - two Buddhists and three Muslims - were fined US$800 each under the 2014 Printing and Publishing Law’s Article 4, which bars individuals from publishing materials that could damage national security and law and order. The following day they were sent to Yangon’s Insein Prison after being also charged with the Penal Code’s Article 505 (b). The charge, which carries a prison sentence for publishing information that may “cause public fear or alarm,” was widely used during junta rule to incarcerate political prisoners. At Tuesday’s hearing, a police officer who acts as plaintiff in the case told the judge that police are still seeking a Muslim man named Aung Khin for allegedly ordering the printing assignment. 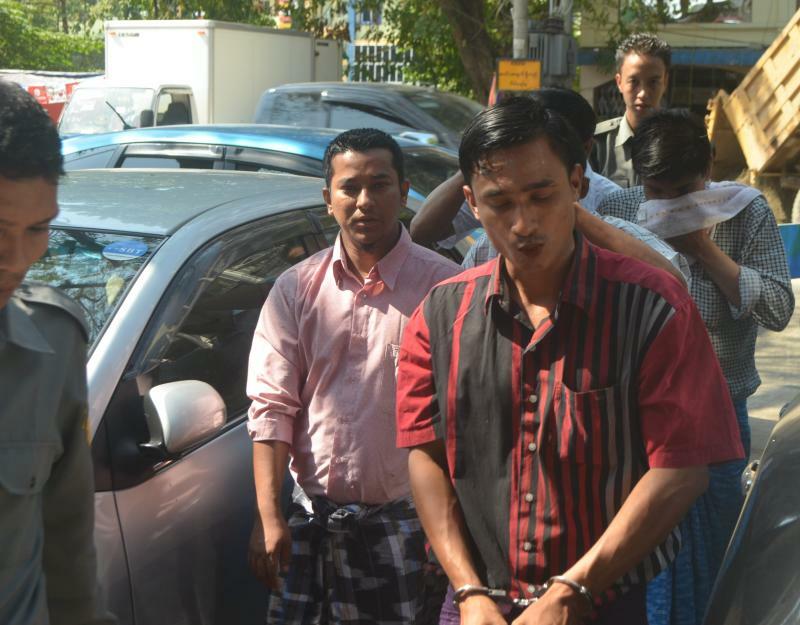 Judge Nay Aung Myi set the next hearing on Dec. 9 and defendants were quickly taken back to jail. The government denies the Muslim minority in Arakan State are a recognised group in Myanmar and says they have no right to self-identify as Rohingya, insisting they are ‘Bengalis’ from Bangladesh instead.